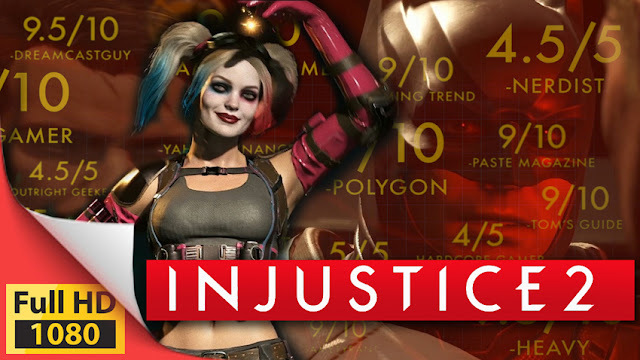 A new Free Trial for fighting game, Injustice 2. Beginning 14th Dec and running through 18th Dec 2017, players will be able to download the Injustice 2 Free Trial on PlayStation 4 and Xbox One, giving them a chance to experience every facet of the game including Chapters 1 through 3 of the game’s immersive Story Mode, all multiplayer and online modes, and the full roster of the game’s base characters with the exception of Brainiac. In addition, players will have the opportunity to try select DLC characters in the single player Multiverse mode. And, just in time for Christmas, Injustice 2 will also be discounted during the Free Trial period at participating retailers.